I find myself asking a lot of questions regarding time. With a full time job, starting a business, and planning a wedding, it is easy to get lost in my days and emerge in time for bed. My mind is a constant stream of to-do list and scheduling, which is good- I get stuff done. The problem becomes I loose quality time with both myself and the ones I love. I loose the separation that it is okay to spend time not rushing around, checking things off my to-do list, and mentally preparing for what I am doing next. I need time to slow down, I need the quality time. I need to have time where I can hike, camp, and share a good meal, just living in the moment. There needs to be time for deep interactions, thoughts, and ideas. I find M and I have the best conversations when we slow down and enjoy our time. I gravitate towards food because of the quality time it provides. When I’m harvesting at the CSA, I’m not thinking about all the work I need to do. When I’m cooking dinner, I’m not thinking about the to-do list that is still a mile long. And certainly when I’m dining, I’m not thinking about how many emails may have come in that I need to answer (this one is a bit harder, but I’ve made a huge effort towards this). I think this is why I love Kinfolk so much- pages and pages of quality time being shared. For me, it is time to step away from the “go go go” mentality 100% of the time. The value of quality time exceeds getting one more thing done on my to-do list. While this meal isn’t directly related to what is written above, it is a good way to get into the kitchen and slow down. It’s a great meal to have a few friends over, pour some wine, and enjoy. 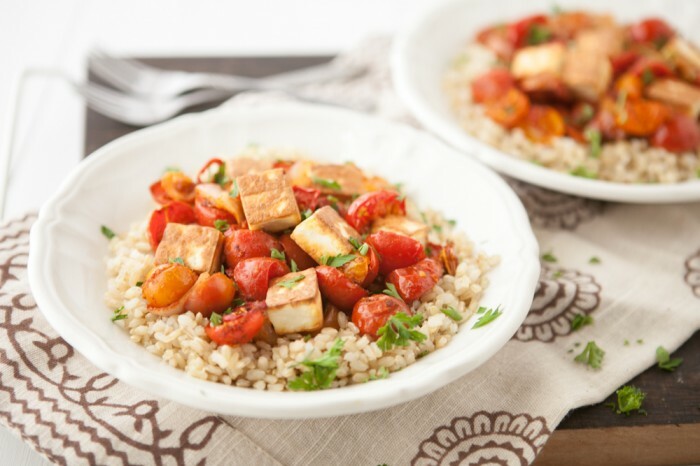 The roasting of the tomatoes and cooking of the rice is fairly hand-off, leaving only the paneer to fry. The aroma fills the house, creating the perfect atmosphere. Slice cherry tomatoes in half and roughly chop the onion and red pepper. Toss with 1-2 tablespoons curry powder and 1 tablespoons olive oil. Place on a covered baking tray and roast for 30-40 minutes. Tomatoes should be soft and beginning to brown. In a medium pot, cover rice with water (like you were boiling pasta). Bring to a boil and continue to cook until rice is tender, 30-35 minutes. Drain and set aside. In a medium skillet over medium-low heat, add olive oil. 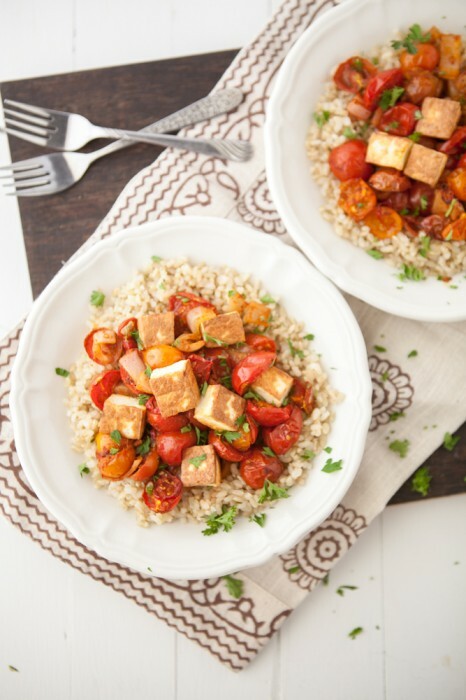 Toss in paneer cubes and roughly cook on each side until lightly brown. 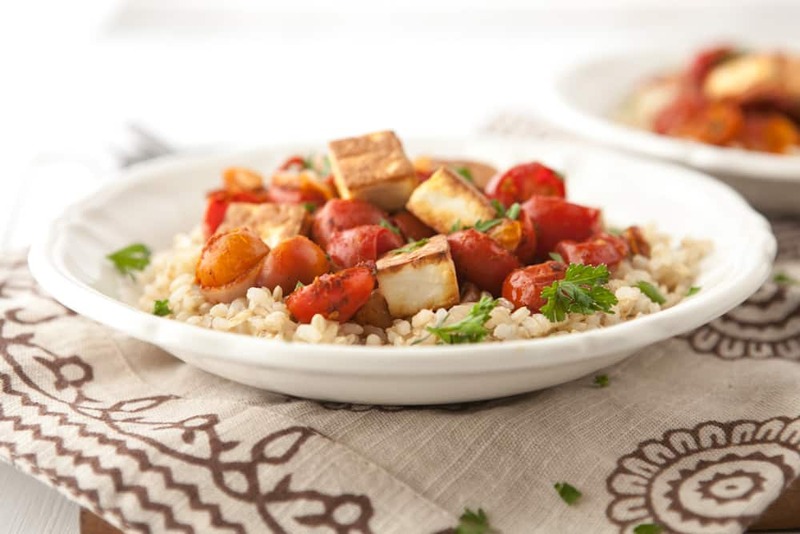 To serve, toss together rice, tomatoes, and paneer. Sprinkle with parsley. I could spend some quality time with those amazing-looking tomatoes alone! Yum. This sounds super easy and tasty! I think we could all use a deep breath and a step back from our crazy lives–& delicious & leisurely dinner is definitely a great way to do it! 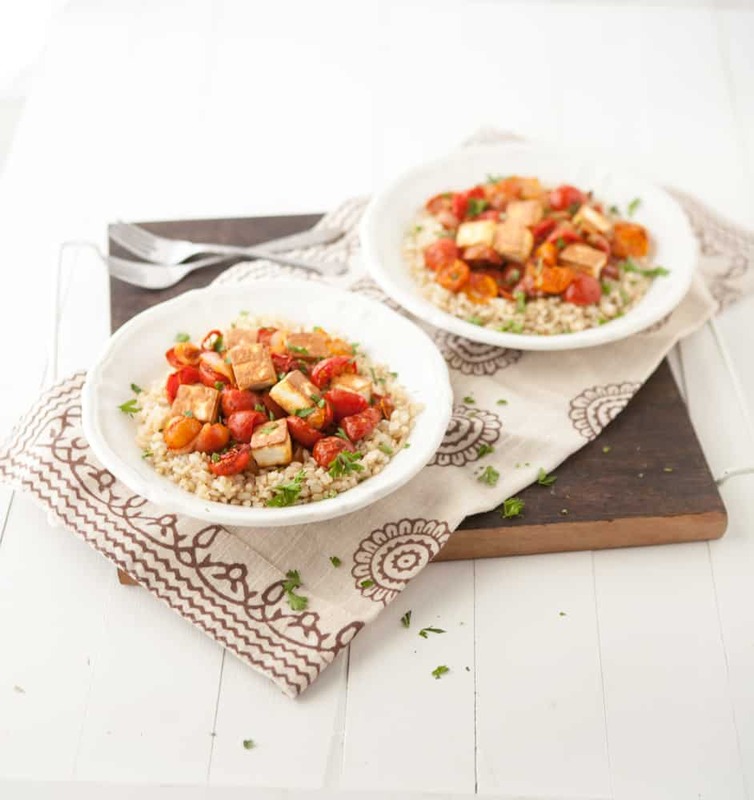 I’m such a fan of paneer, and this sounds awesome! I want this for dinner! I love Indian flavors. I’ve never seen paneer for sale, isn’t that strange? I honestly don’t know how you do everything you do, but I’m glad you’re remembering to slow down!